A world premiere performance by members of the Liverpool Guitar Society, inspired by this year’s stunning John Moores Painting Prize will be one of the free highlights of the Long Night at the Walker Art Gallery on 18 November 2010, when the gallery will stay open until 10.30pm. Inspired by the artworks in the UK’s largest painting competition the compositions by local musician Richard Harding will be performed on a large scale to an audience “in the round”. In his new pieces, November and afloat on swansdown in the high blue, a classical quartet will respond to loops and samples played through a computer and mixing desk, giving the classical guitar a modern sound in keeping with the contemporary paintings on display. Other more traditional performances from the society will be dotted around the gallery throughout the evening, from soloists in the historic galleries performing a themed repertoire to the guitar orchestra in the atrium where visitors can enjoy refreshments from the café. What a piece of worke, a music, dance & spoken word performance by volunteers and local students. The performance starts outside St Georges Hall, moves into and through the Walker Art Gallery and ends the evening with a procession down William Brown Street. (A commission by New Art Exchange). An improvised performance by Eugene Skeef, a South African poet and percussionist playing the udu, a traditional African instrument. The opportunity for young art lovers to let their creativity run wild with art materials available to create their masterpieces. The last opportunity to vote for your favourite painting in the John Moores Visitors’ Choice prize, sponsored by Rathbones. The winner: Spectrum Jesus by Keith Coventry was selected from almost 3,000 entries for the first prize of £25,000. The jury: This judging panel for 2010 was made up of artists Gary Hume, Alison Watt, Ged Quinn, Goshka Macuga and curator / critic Sir Norman Rosenthal. The painters: The John Moores Painting Prize attracts a broad spectrum of artists and no preference is given to levels of experience or particular practices of painting. The works are selected anonymously. The winners: The competition has a reputation for identifying talented new painters on their way to finding fame and artistic acclaim. Former winners have included David Hockney, Richard Hamilton and Peter Doig. 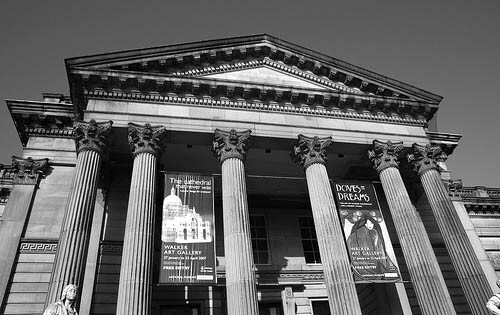 The exhibition: Runs until 3 January 2011 at the Walker Art Gallery, Liverpool. Please contact: Laura Johnson in the press office for more information on this release. This is really fascinating, You’re a very skilled blogger. I’ve joined your rss feed and look forward to seeking more of your magnificent post. Adndoitially, I have shared your site in my social networks!